Leeds Keep Our NHS Public have organised a regional march in support of keeping the NHS in public hands. 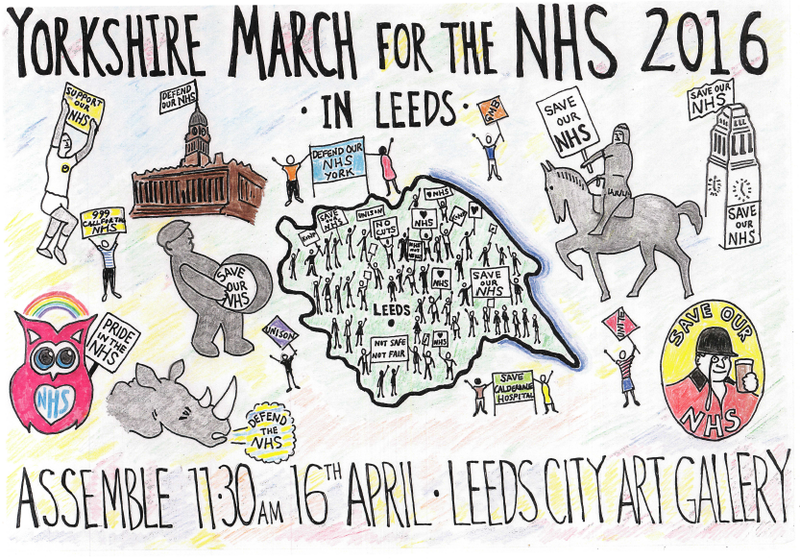 Marchers will gather outside Leeds City Art Gallery from 11;30 am on Saturday 16th April to march around the City Centre. This entry was posted in Activity and tagged Leeds, Leeds KONP, NHS. Bookmark the permalink.